Today, I would like to talk about the importance of lighting in cabinet design. If there’s one space in the home where getting the lighting right is absolutely critical, it’s the kitchen. Lighting can make the perfect design look even more extraordinary. 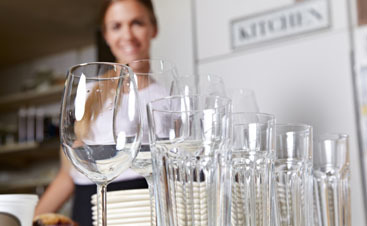 There are various locations in the kitchen in which lighting can be used. To ensure we create the perfect lighting scheme we create a lighting plan once the cabinet design is complete. 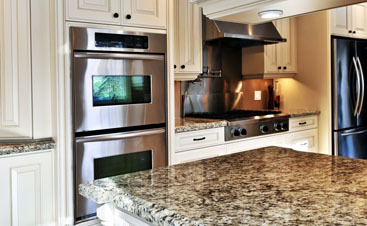 This plan will outline the position and type of lights for your kitchen. Task lighting: Task lighting does exactly as the name suggests. It is perfectly positioned to ensure the kitchen is an efficient working space for everyday tasks like food preparation. Understanding the lighting needs for your kitchen as a working space is crucial when planning your lighting scheme. Consider how you envision using the space and where and when you will need specific light sources. 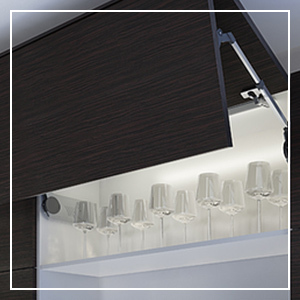 Task lighting is positioned under wall units to illuminate the worktop, giving light exactly where it is needed. 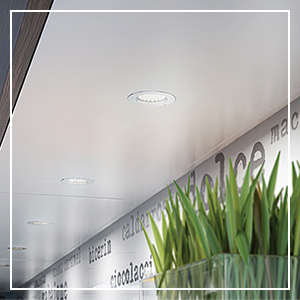 There are two types of task lighting to consider; puck lighting & strip lighting. If you choose to use puck lights, 2-3 pucks every 3 feet is recommended. The effect created is a cone beam. 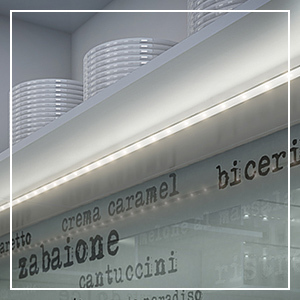 Strip lights provide a continuous run of light with no breaks to create a flood of lighting on the countertop. 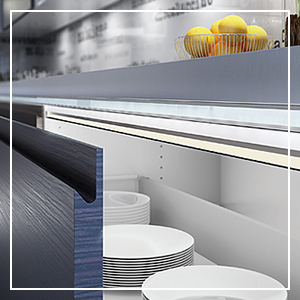 Convenience lighting: Convenience lighting illuminates cabinets and drawers when opened. A stunning and functional effect which brings a level of luxury to any kitchen design. Choose from battery powered or low voltage in-cabinet lights with an automatic sensor so the light goes on/off as the cabinet door opens/closes. Drawer lights are perfect for illuminating deep pan drawers. Mood lighting: Mood lighting is used to add ambiance to the room. Mood lighting is generally soft and unobtrusive, used for decorative rather than functional purpose. Often the most overlooked aspect of kitchen lighting, Mood Lighting actually has the biggest impact. The last thing to think about is lighting color. 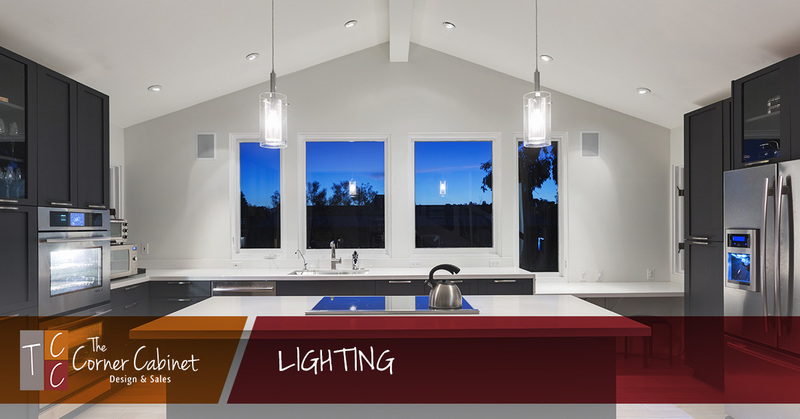 It’s important to understand the differences between ‘warm white’ and ‘cool white’ LED lighting and how each interacts with different kitchen surfaces and color tones. Warm white produces a cozy, calming effect which complements a traditional style kitchen with wood surfaces and muted worktops. Cool White gives a more modern effect, goes well with more white and gray tones, and bounces off glossy or contemporary surfaces to create a stunning visual effect. 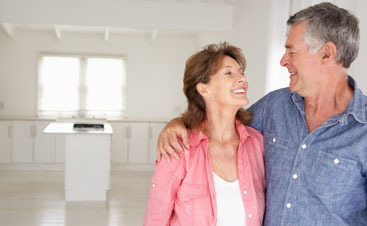 Enjoy the following videos that show the impact lighting has. At The Corner Cabinet we proudly sell Sensio lighting. I’d like to thank our Partner MasterBrand Cabinets and Sensio for supplying us with these videos and photos.